Being a geek and a parent means you are always carrying around extra items. Whether you’ve got cell phones, pacifiers, cameras, snacks, water bottles, or business cards, you need extra pockets to carry it all. Scottevest is a company specializing in clothing with plenty of extra pockets. Mostly designed to hold your gadgets, the pockets will also easily accommodate kid-related items. Their offerings run the gamut from vests to dresses, depending on your needs. I recently was able to try out the Travel Vest for Women. The large size fits my average-sized body closely but extremely comfortably. The fabric is smooth and nice, and the black color I received looks very smart. Also, despite the almost countless pockets, the vest isn’t the slightest bit bulky, even when filled with items. These pockets are designed to not bulge when they have things in them, keeping your vest looking nice and not obviously full of things. 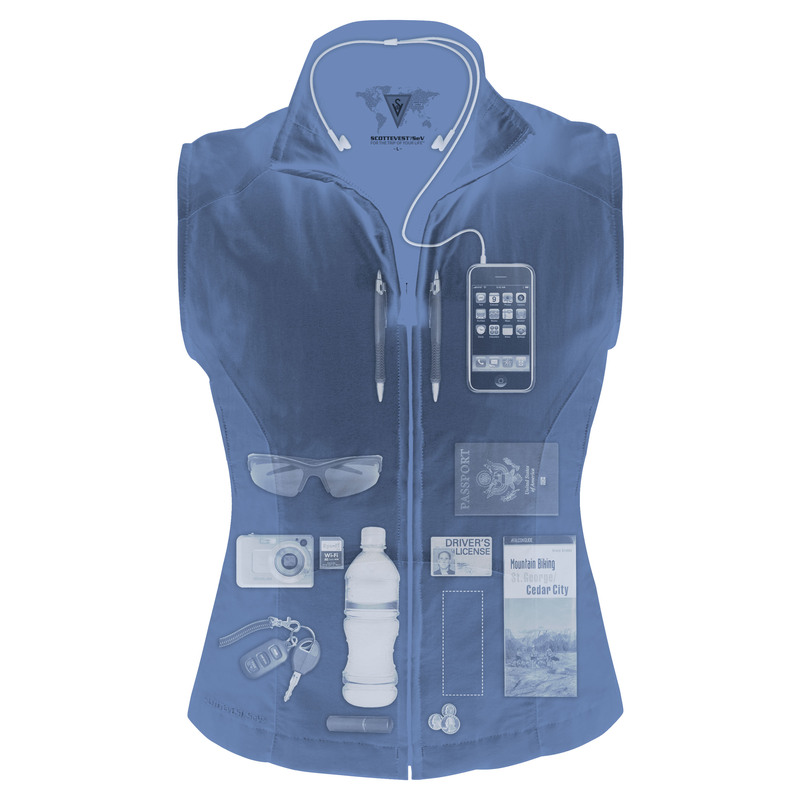 The vest also has a weight management system that helps disperse the weight of your items in your pockets, has a mesh lining for comfort, and is treated with Teflon so it’s water- and stain-resistent. When you’re not using it, it can pack into its own back pocket. When you’re traveling, you can pack it up like a carry on and then just take it off and send it through security, knowing everything will stay in place because of the zipper closures. The travel vest will now forever be on my packing list for trips, regardless of weather, as well as using it closer to home. I love this vest, and go out of my way to find reasons to wear it. You can’t have too many pockets, and it’s light enough for even warm weather. It also makes a good extra layer for your core. The Scottevest Travel Vest for Women retails for $125. It comes in black, red, hunter green, and gray, and in sizes from S to XXL. I recommend it, without reservation, to geeks, parents, and travelers everywhere. 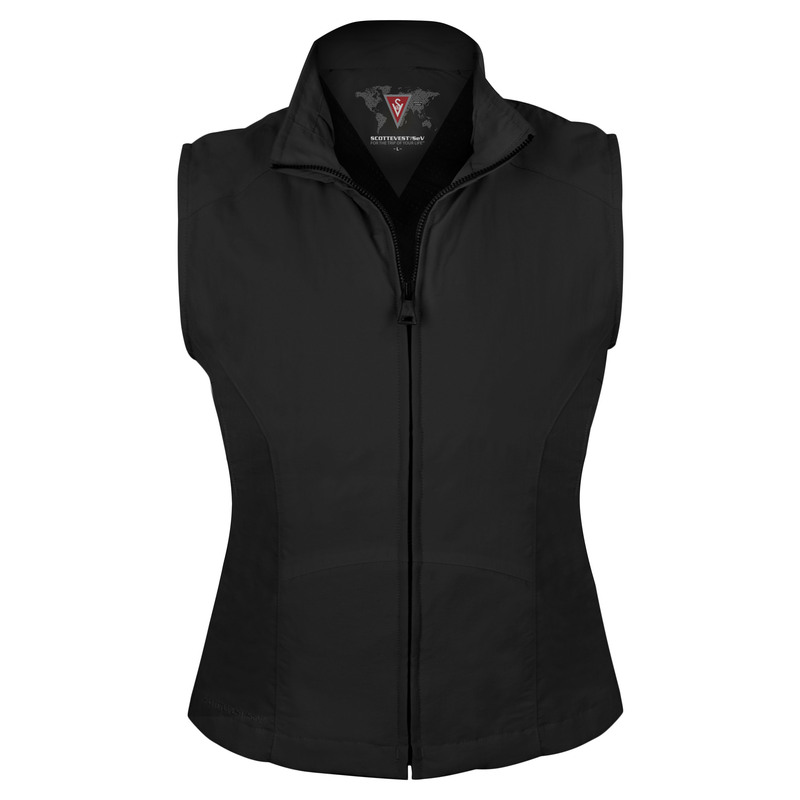 But if this vest doesn’t fit your needs, check out the rest of their line. They have other types of vests, jackets, coats, pants, shorts, and even dresses. You can’t go wrong with Scottevest. Note: I received a vest for review purposes.